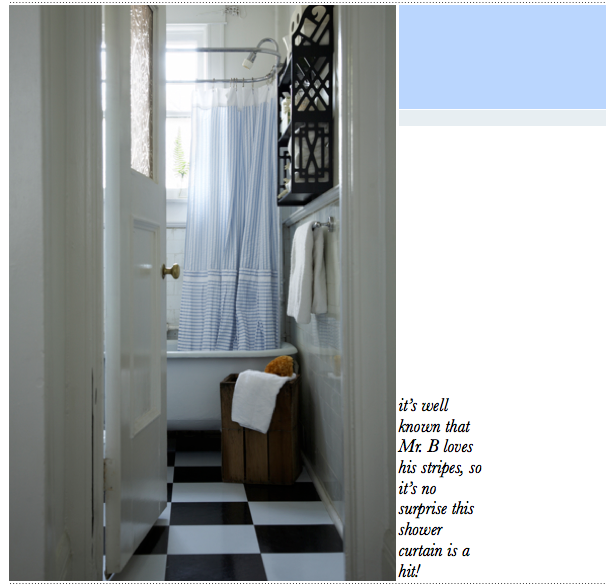 Oh boy, has Mr. B found some inspirational spaces inside Michael Penney's portfolio. Penney calls himself 'your friendly neighbourhood decorator', and the spaces he creates are testament to just that: the aspirational yet accessible styling amongst his gently colourful designs make for striking bedrooms, delicate dining rooms and classic bathrooms. 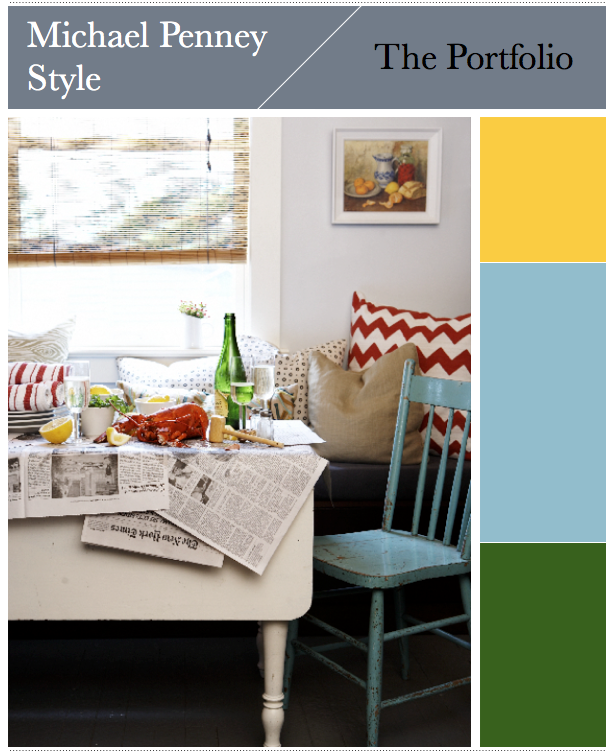 I mean, who wouldn't want to pull up that Duck-egg blue chair and leaf through The New York Times?! Michael is a decorator, stylist and magazine editor whose philosophy on creating a home rings true with my own: "Creating a beautiful home is all about self-expression and feathering the nest with things that make you just plain happy." Spot on, I think. As for a favourite of his designs, I simply couldn't choose, but my top three are: the kitchen nook (above), the classic bathroom and the rustic dining room. Which rooms do you like? oooooo that floral wallpaper! So romantic and sweet! Michael's style reminds me of yours! He can do no wrong - love everything he does. 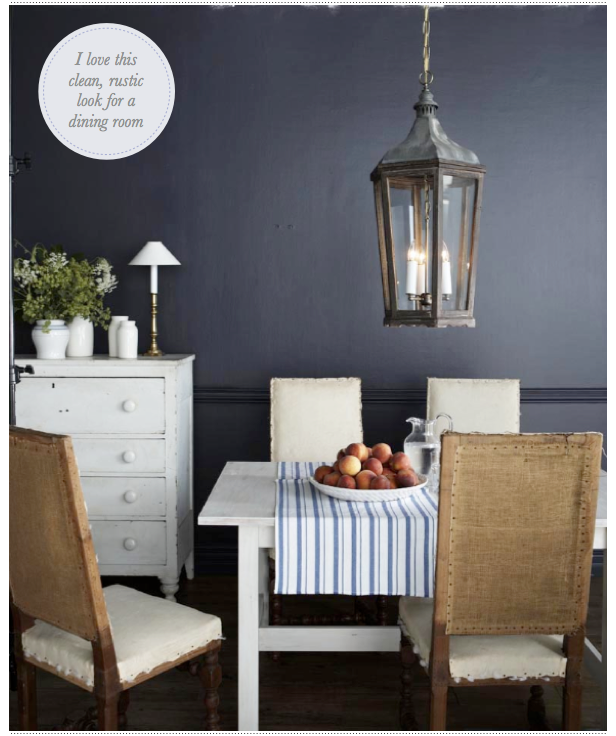 Favourites are the living room with the striped rug and of course, that dining room. He's behind a lot of my fave rooms in the magazine. Great post Will! 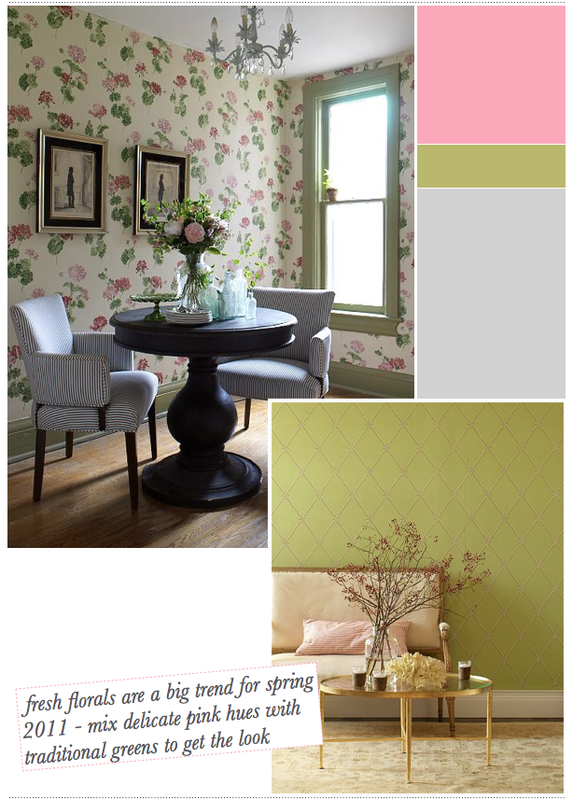 Love the pink & green dining/sitting room. Makes me think of a prep and of lilly pulitzer! Stunning! I can't get over these rooms! Beautiful. 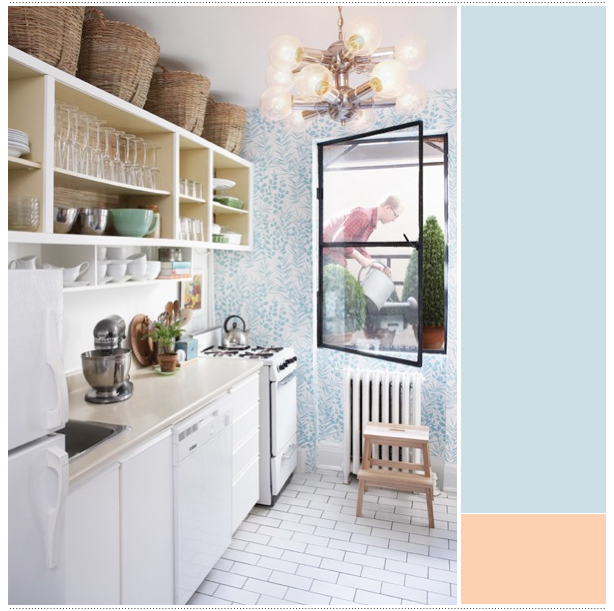 I really admire the floral wallpaper, but that blue and white kitchen is dream worthy! I love the kitchen and dining room best. Love the wall color in the dining room. Mmmmm... I love that kitchen nook. A little bit retro and a whole lotta lovely! Oh I LOVE him! I am so loving the styling of the first pic with the lobster. You always find the happiest spaces! am so into distressed white furniture these days so immediately fell in love with that last pic - white chest of drawers and dining table against a black wall - just fab!! oh WOW WOW! love the kitchen, he is watering the flowers, how cute! and the bed quilt, pretty, what a happy home! 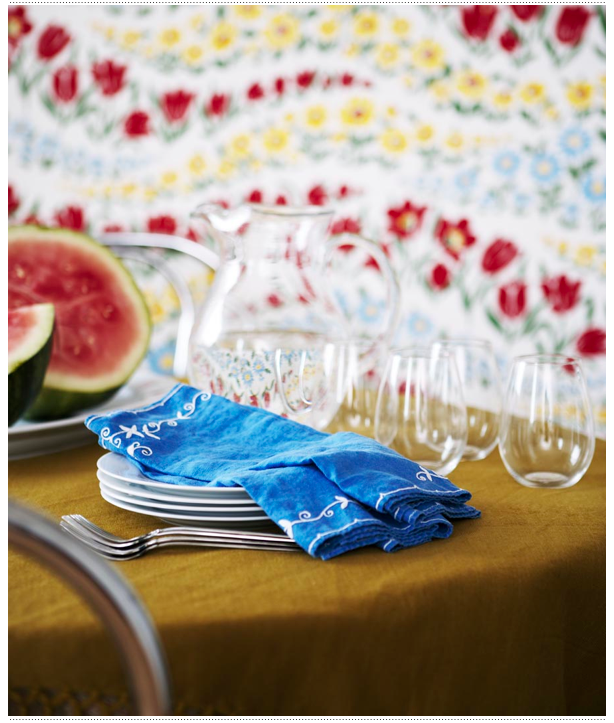 Loving the fresh floral look for spring - delicate yet bright! i really love the styling--so ingenious! my favorite is the cracked lobster, and i love the way the rust of lobster pops against the grainy newspaper. i've seen this guy's work before but never had a name--thanks for the info, will! Those red chevron cushions and that stripy wall paper are divine! Love the floral wall paper too even though its not my normal style! All of the rooms are gorgeous! So hard to pick a favorite... the bedroom is stunning! 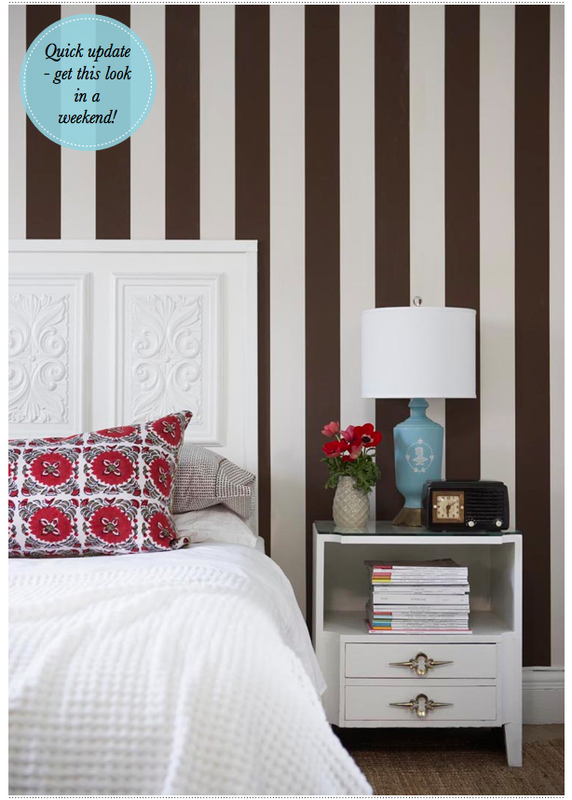 Love the bold walls! Great designs. Beautiful old English country style with a nice modern twist! And I love your layouts. You could have a magazine! I could move right in. Yummy. Yes this is a great find Mr B! 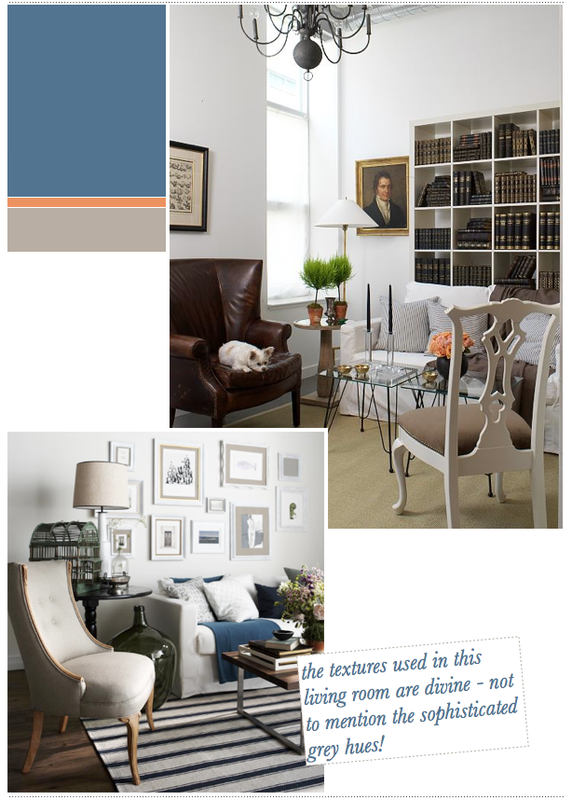 Michael Penney is fab and I agree, there is such a nice approachability in his approach to decor. Stripes! Love love love. When wide and lush like these they are so right! Great room! But oh yes please to the elegant rooms below the laundry! That is more me. Sober sophistication with hints of eccentricity and quirk. V nice! Also loving the dining chairs in the thunder gray dinging room further down. What a wonderful room. That wall colour..! Thanks for the inspiration Mr B!! Though I know I have missed more posts I am tearing away now to visit other friends. I have loved catching up with you.